Today was the 6th annual eye check of Multi Ch. Festival’s Slumdog Millionaire… eyes clear again. A 5th champion title for Multi Ch. Festival’s Slumdog Millionaire @ the international dog show in Fauske, Norway. 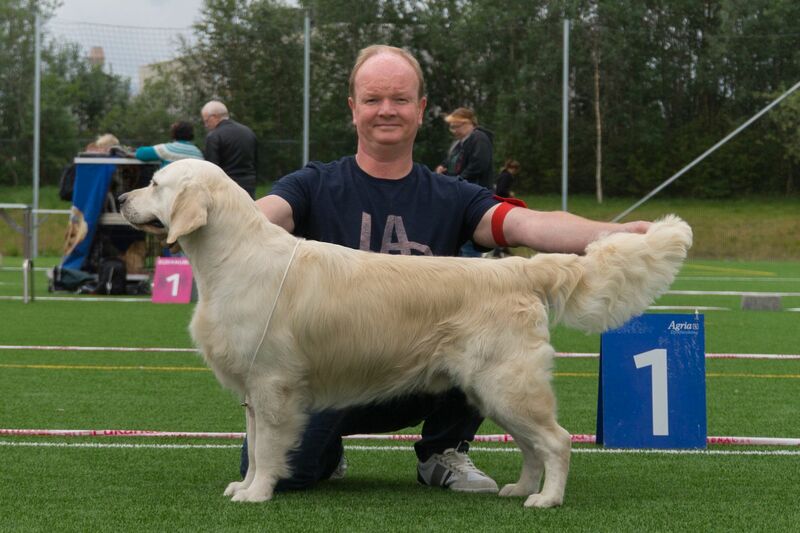 Drummer won the champion class with CK, became BEST DOG with CAC+CACIB and may now also call himself NORWEGIAN SHOW CHAMPION! Judge was Karl-Erik Johansson from Sweden. Copyright © 2019 WESTBOW Golden Retrievers.